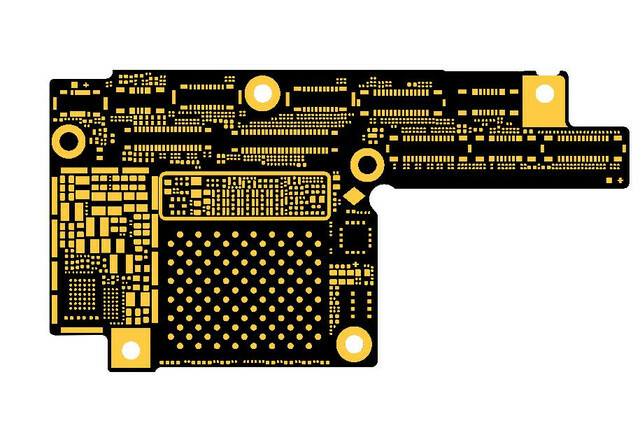 wuxinji Five star Dongle For iphone ipad Samsung XiaoMi Bitmap. 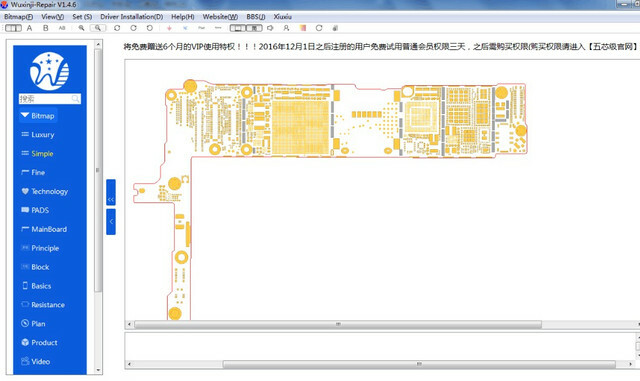 schematic diagram Motherboard circuit board diagram for phone service. 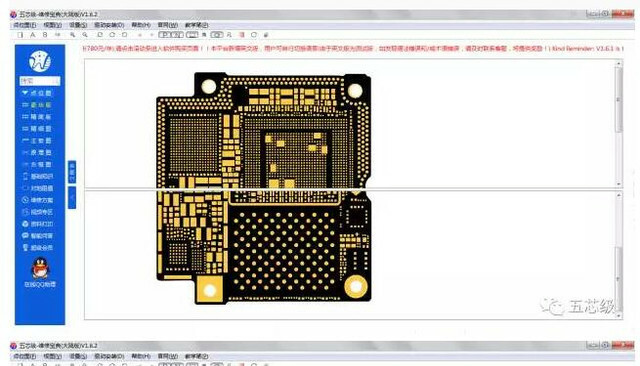 PCB circuit diagram For iphone ipad Samsung XiaoMi Bitmap. 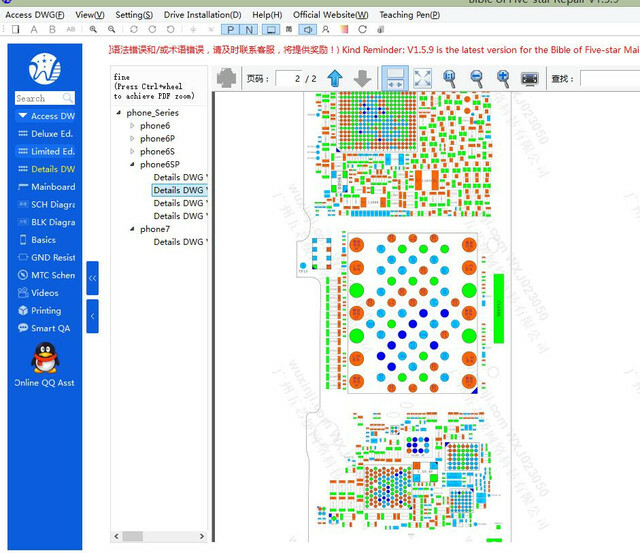 Language: Support English, When install it, pls choose "Englsih"
2.Add【Access DWG】->【VIVO Access DWG】->data of X9. 3.Add【MTC Scheme】->Error code series->iphone6Plus、6S Flash process error is introduced. 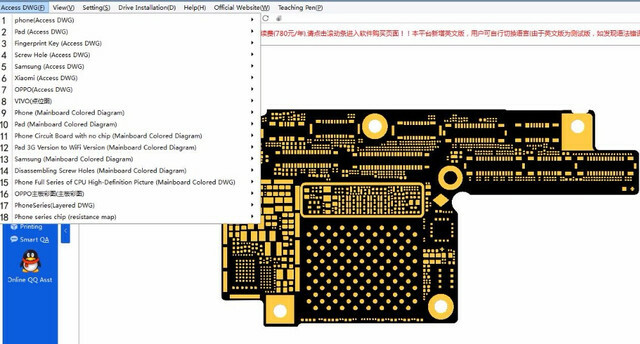 4.Add【Mainboard DWG】->iphone6SPlusComponents Function Annotation Mainboard Colored DWG. 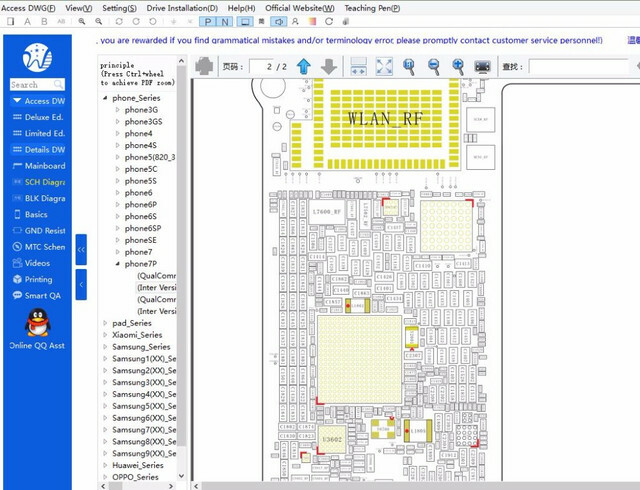 5.Optimizing the platform code,perfect platform interface.